On the hottest Day of the year (over 90 degrees!!!) 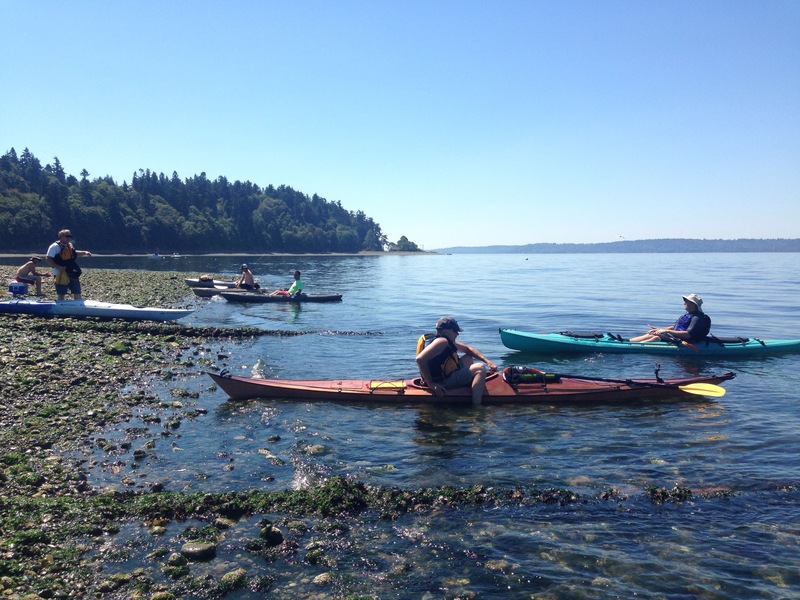 we took our tandem kayak to Blake Island and had lunch on the beach. It was fun to meet new people and see their boats! One had a foldable Oru, one a beautiful wooden kayak he made from a kit, and one had a really high rocker (nose) to cut through the waves and was practicing for Sweden. One man brought a canoe. We launched from Lowman Beach Park, which had a parking lot under construction (had to park on the street) and it smelled like sewage in the park (probably why there was parking nearby). The logs between your car and the beach made it a pain but it’s doable. 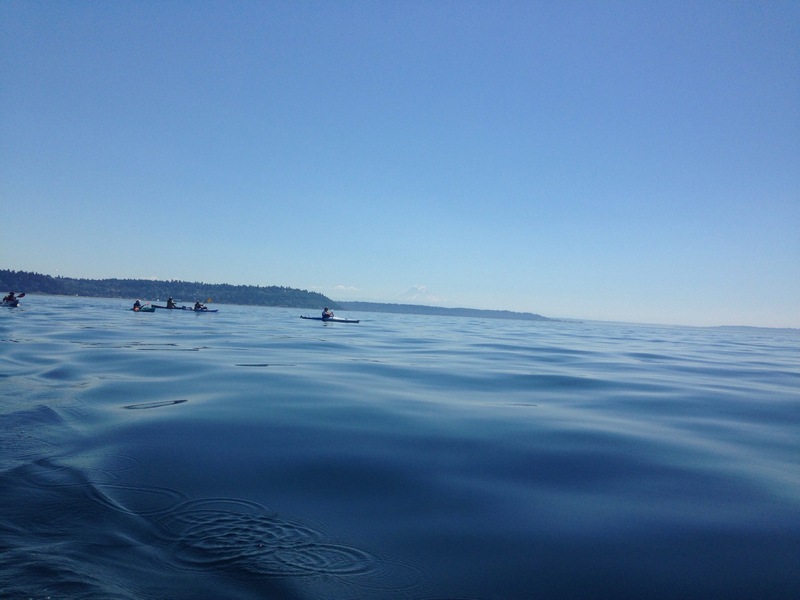 We then paddled straight across to Blake Island and landed on North Beach. I had no idea it’s so popular there, especially since it’s only accessible by boat. 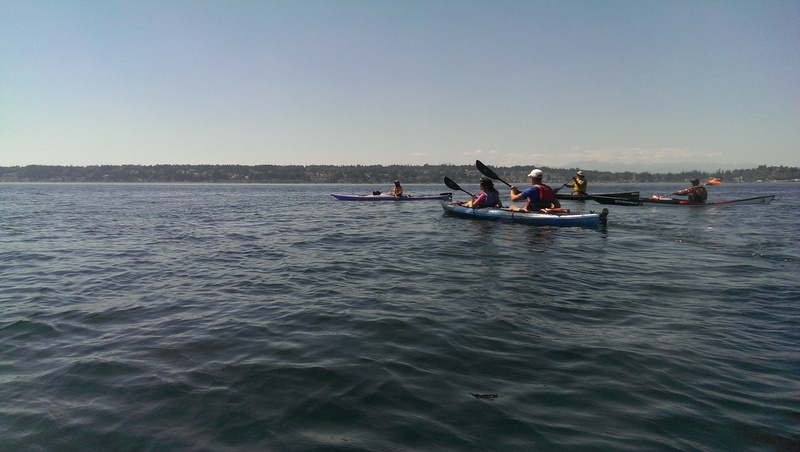 There were other kayakers there but mainly people in small power boats. It’s wonderfully sandy there and had enough room to have your own space still. There were about 10 campsites we saw along the beach, but apparently there are 44! There are toilets a bit of a walk away and the campsites have bear lockers, which is good because of all the raccoons on the beach! There were dozens I saw and I wasn’t exactly searching. Besides the raccoons we saw two eagles (one swooping by the water and one in a tree) and two deer (not shy at all, since the island is small they are pretty socialized). We also saw a giant jellyfish on the way there (check out the end of the video)! 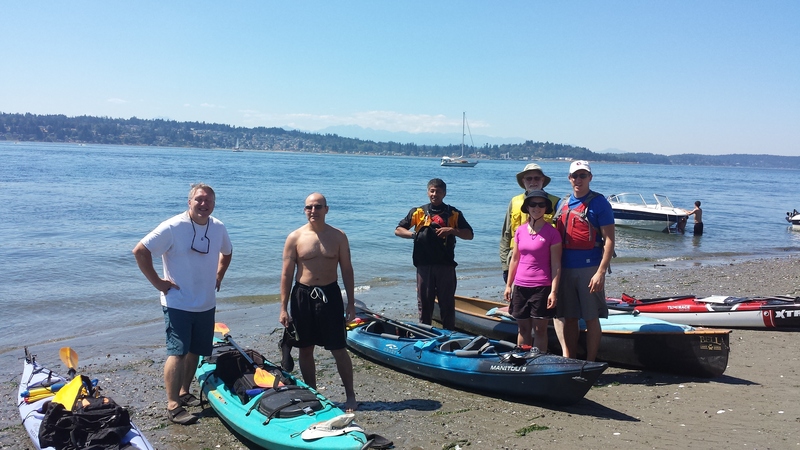 Most of our group are pictured above at North Shore. 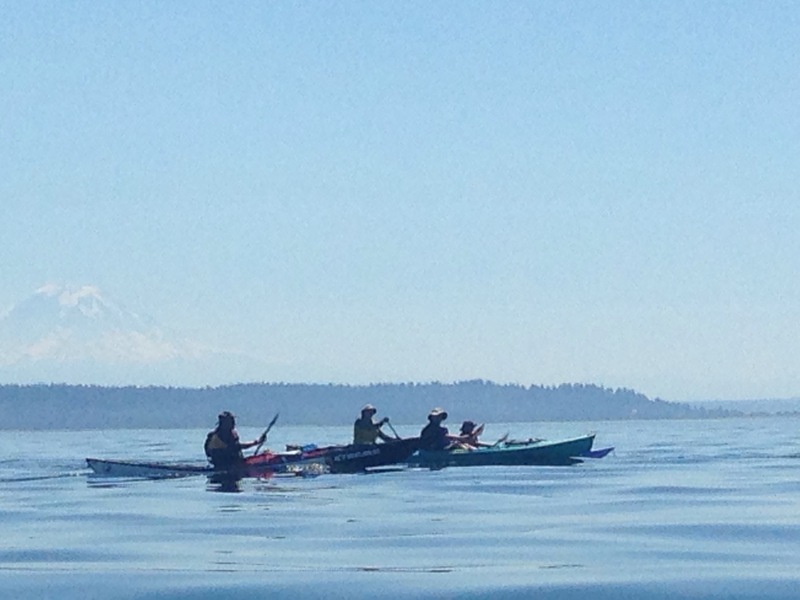 Photo credit to Scott W.
We circumnavigated (we’re the tandem below, photo credit to Robbie B.) Blake Island then headed back. About a 5 hour trip from launch to finish including leisurely time on the beach (probably too much, I got fried! ).